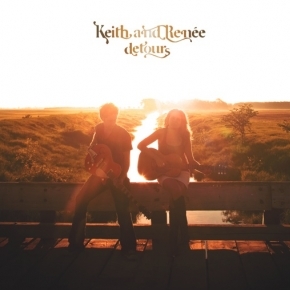 Award winning Canadian country duo Keith and Renee are nominated for Best Country Album at the WCMA 2016 for their album Feel Good Thing - an album that’s all about the journey. Slinging their guitars and powerful voices from Winnipeg to Nashville and Toronto, Keith Macpherson and Renee Lamoureux have spent the past three years exploring new avenues for performing, song writing and recording. It all began on tour with country superstar Dean Brody where KnR met Brody’s band and asked to record a few songs with them. Bassist Mark McIntyre, drummer Lyle Molzan and pianist Steve O’Connor packed intoThe Drive Shed studio in Toronto with Keith and Renee, along with producer Jason Barry(Jason Blaine/Aaron Lines/Michelle Wright) to work on the album. The amazing chemistry between the group resulted in the energy behind Keith and Renee's first single: the pulsing country-rocker Steamboat, as well as- the fun-loving tune These Four Wheels and the endearing My Heart’s an Idiot. 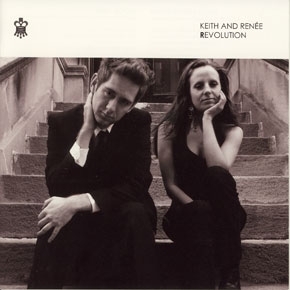 From that point on, Keith and Renee began to expand their journey like never before, making numerous trips to Nashville, meeting all sorts of artists and industry representatives who played a role in achieving their next step. Through their good friend Gilles Godard at Ole Publishing. Keith and Renee met recording engineer Billy Decker (Trace Adkins/Sammy Kershaw/Carolyn Dawn Johnson). Decker immediately understood the duo and what they wanted to capture - producing the next four songs at the renowned Sound Stage Studios and invited Keith Urban’s guitarist Danny Rader to play on the album. Producer/songwriter Chris Burke-Gaffney and Keith and Renee's late manager Kevin Walters also had a huge impact on the album, helping Keith and Renee whittle down the band’s approximately 45 song contenders down to the 12 songs that made the album cut. The long and arduous process saw Keith and Renee spend almost three years writing and co-writing with artists ranging from well-known artists like Alan Frew, Kathleen Higgins, Tebey, and Carolyn Dawn Johnson - to hometown Winnipeg writers like Jaylene Johnson, Murray Pulver (Doc Walker) and producer Chris Burke-Gaffney. In fact, most of the songs on Feel Good Thing have at least three to four writers - a new experience for a band that, up until now, has written its own music. "Right from the get go, Keith and I decided that there was no rush releasing this album. We wanted to take our time to write and find the proper songs. It was important to us to show up with our best music, this being our sixth album, and making it even better than the last. We opened ourselves up to the opportunity of recording other artists' material as well as our own which was a whole new experience,"
For instance, the rousing song Back to Me was written by Matt Nolen and well-known songwriter Rose Falcon (Rodney Atkins). The song was recommended to the band by Godard. Another song on the album, My Heart’s an Idiot, had an especially emotional impact. 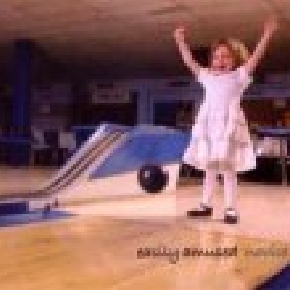 “ hen Alan Frew first played it for us, I was immediately drawn to this song. the way Lindi Ortega was soulfully singing on the demo and her lyrics. I totally connected with the song and knew it had to be on the record. That was the first time any song presented to me as an album contender. hit me so hard like it was one of my own,” says Renee. 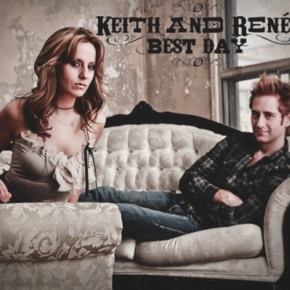 Keith and Renee also collaborated with Phil Barton (who wrote Lee Brice's smash hit Woman Like You) to create the band's powerful second single and title track, Feel Good Thing. While the release of Feel Good Thing covers new ground for Keith and Renee, this band has certainly marked its territory in the country-pop music realm. Keith and Renee are ready to take Feel Good Thing on their biggest adventure yet.